In our almost 3 years of living here in Uganda, we have developed friendships with several Ugandans who have a heart for making disciples and caring for the needs of those around them. While they have a passion for this work, they also need work that enables them to support their own families while ministering to others. It is such a blessing to be able to assist some of these local missionaries through the support that many of you provide for our ministry. 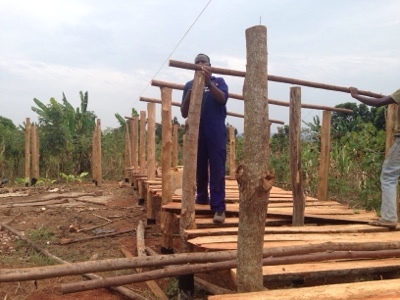 We desire to equip Ugandans to minister to be their communities. Since the pastors at our village church get a small stipend equivalent to about $20 a month, they need additional work in order to cover their expenses. The the generosity of many we have been able to assist one pastor with starting a small pig farm to provide additional income. Another friend of ours has been leading Bible studies for grandmothers who are raising their grandchildren. 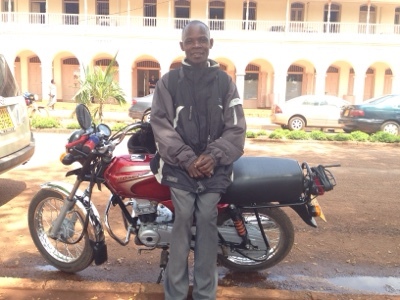 With your support we have been able to help him purchase a motorcycle to use as a business. People often hire a "Boda Boda" to drive them where they are going. It is one of the most common forms of transportation. He can also use this motorcycle to earn a living, to get to his Bible studies and to visit the grandmothers in the villages. We have also had the pleasure of partnering with a friend who has started a Bible study with some of her neighbors in Jinja. We have been able to provide Bibles for those who do not have their own. She also wanted to assist these women with beginning a savings program. Several of them are in need of school fees for their children or money for medical care or even small business start up expenses. They have committed to assisting one another with these needs by making weekly contributions. It is exciting to see how God is working to help these women grow in their faith and meet each other's physical needs. We are extremely grateful for the ways that you pray for us and our ministry here. Please pray for these friends who are partnering with us in these various ministries. It is beautiful to see God working in so many ways!